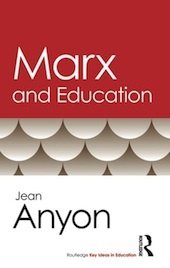 Dr. Jean Anyon passed away on September 7, 2013. 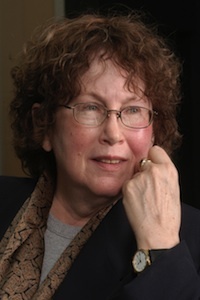 Her students have started the "Letters to Jean" blog in her memory. Colleagues, students, and friends can share their stories, pictures, and videos on this blog. 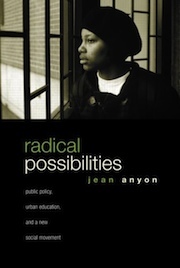 Also, a scholarship fund has been established in Jean Anyon's name towards helping current students in the Urban Education program at the CUNY Graduate Center. Foreword by William Julius Wilson. Anyon, Jean. 1981. “Social Class and School Knowledge.” Curriculum Inquiry 11 (1): 3–42. Anyon, Jean. 1994. “Teacher Development and Reform in an Inner-City School.” Teachers College Record 96: 14–31. Anyon, Jean. 1995. 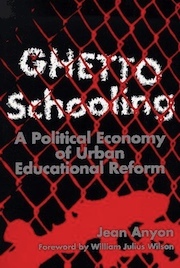 “Race, Social Class, and Educational Reform in an Inner-City School.” Teachers College Record 97: 69–94. Anyon, Jean. 2005. “What ‘Counts’ as Educational Policy? Notes Toward a New Paradigm.” Harvard Educational Review 75 (Spring): 65–88. Anyon, Jean, and Kiersten Greene. 2007. “No Child Left Behind as an Anti-Poverty Measure.” Teacher Education Quarterly 34 (Spring): 157–162. This course examines the relationships between political, economic, cultural, and educational contexts and what occurs in urban schools and classrooms. The course defines pedagogy broadly, as consequences of sets of relationships among factors both external and internal to schools. Students will assess the effects of political and economic policies and practices on the shape and processes of schooling. Students will also consider the contribution of urban communities and cultures to what occurs in schools and classrooms. We will discuss what is (the problems and injustices) as well as what could be – versions of what is possible and just. 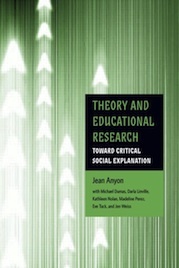 This course familiarizes students with critical social theorists often utilized by scholars in the academy. Goals of the course are to consider the following kinds of questions about critical social theory: What is it? How can it be useful? For example, how are power and resistance theorized, and how can we study and utilize such constructs in educational research? 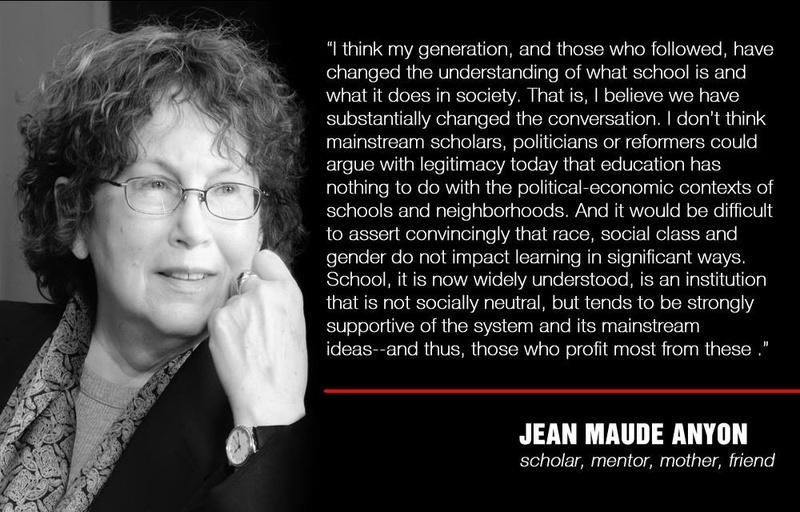 How can we use theory to organize daily struggles against unjust power in education and other parts of society? B.A. University of Pennsylvania, 1963. M.S. Education, University of Pennsylvania, 1965. Ph.D. Education and Psycholinguistics, New York University, 1976.